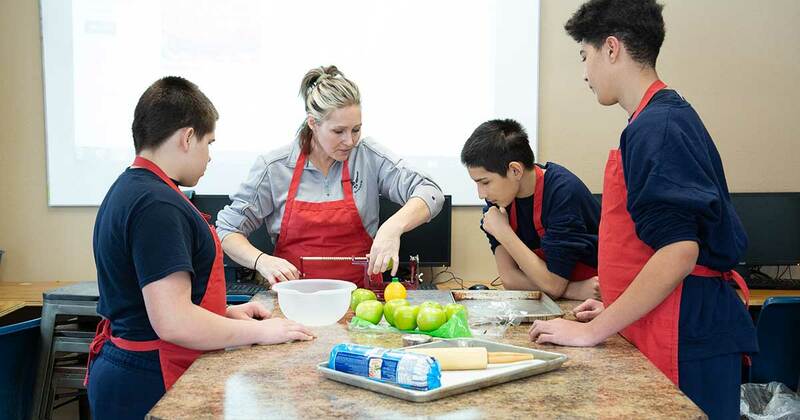 During February, Core Orchards and the clients of Wolverine Human Services teamed up to make a delicious Carmel Apple Pizza for our New Year’s Resolution to post an apple recipe a week. The boys had a blast making this sweet dessert pizza and it was a valuable opportunity for them to learn more about the culinary arts. Core Orchards was happy to have a visitor from MDARD come out to tour our Detroit facility. In perfect Michigan fashion, we experience an ice blizzard the day of the tour. Despite the conditions, our brave MDARD representative learned more about our hoop house, gardens, and demo apple orchard. Core Orchards is happy to give tours in ALL WEATHER. If you are interested in having your organization come out to learn more about Core Orchards and what we do, fill out the form below to request a contact. 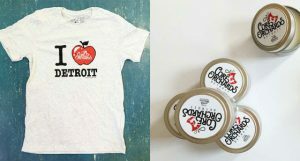 To purchase an I Detroit Shirt or a Detroitwick Honey Crisp Candle, please visit our online shop! Spring is in the air! That means that Core Orchards is hard at work planning out our garden and orchard activities for the year. We will be looking for plenty of help with this year’s orchard. From growing food in our garden, to utilizing it in our Soup Kitchen, we will be doing it all this year! If you are interested in volunteering, fill out our volunteer request form and stay tuned for upcoming event alerts! Thanks to the DTE Energy Foundation Tree Planting Grant Program, Core Orchards has received funding to plant 50 non-fruit bearing trees this upcoming spring. Although traditionally we have done our major plantings on Arbor Day, this year’s festivities will take place on May 3rd! Stay tuned for more details. If you are interested in becoming a tree sponsor or donating a bench to Core Orchards, fill out the form below to request a contact.